Continuing until the end of this month I have a very special discounted Prosperity Spell that I can personally cast for you on your behalf. This is my Special Offer of the month and can be found here at Special Offer. The special discount applies to all my Spell casting options of Single Cast, Triple Cast or Full Moon Triple Cast. Please hurry to take advantage of this limited special offer. You can ask me to single Spell cast for you or have the Spell triple cast over 3 consecutive nights or have me triple cast your Spell on the next full moon January 30th for full potency. The choice is yours. Are you troubled by a Ghost? Many people believe that the Earthly plane is inhabited by Spirits - entities who somehow have missed the chance to "pass over" to the other side, and spend their time wandering amidst the living, sometimes haunting, sometimes just making a nuisance of themselves, or just existing in a state of perplexity as to why they are here, with no one being able to see or hear them! For some reason, some people see, feel and even hear these ghostly spirits. Are you troubled by a Spirit? Is there someone trying to contact you? Are you pestered by a Poltergeist? I have started a major new study on Ghost Experiences. If you have a real ghost story to tell, then go to my Ghost Stories Section and learn how to tell me about it - and get it published on the website. Touble Choosing a Spell Caster? If you want a Spell cast by a professional, experienced Spell caster, it can be hard to choose the right one. 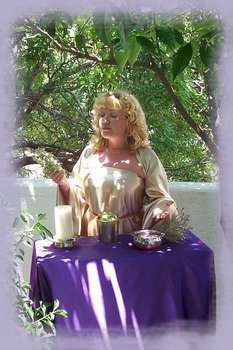 I am often asked what to look for, when choosing a Spell caster to cast a Spell for you. There are a lot of charlatans out there, and so I wrote an article which I hope will help people to choose wisely, and look for the tell tale signs of the scam artist. Remember, I still want to learn all about your dream experiences. Go to my special Your Dream Experiences Section to submit details of your own Dreams, which will be published on the website (subject to editorial control). My major study is well on the way with lots of interesting contributions. There's a brand new Section on the website featuring Real Ghost Stories. These are real experiences from contributors of their own real experience of the supernatural. This month's offer (available all JANUARY) can be found HERE. These messages and premonitions are born of insights that come to me about people in the world who are open and free to receive and send their spiritual energy. Go to my Premonitions Page to learn more. Check them carefully - there might be a message for you. 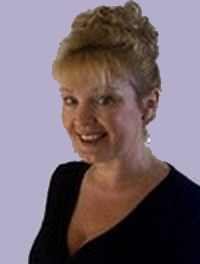 Helen receives a powerful Spell Infused Pentagram for protection, power and attraction.